LIDL plans to build student accommodation units AND a shopping outlet in Ballymun over the next two years. The news emerged after the transfer of land to Lidl received the go-ahead from county councillors at this week’s north-west area committee meeting. Councillors were asked to vote on the disposal of the land to Lidl Ireland GMBH at Tuesday’s meeting and all councillors voted in favour of the land transfer. 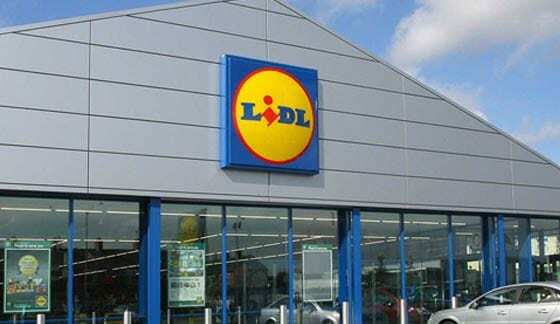 Lidl is awaiting final Dublin City Council approval for the transfer of land, which should be completed by February 6. The new mixed-use build will be located at Balcurris Road/Main Street in Ballymun and is part of a brown-field site that was once occupied by three blocks of high-rise flats which have since been demolished. The site was for sale for E2.4m by Dublin City Council. It is believed that the new development will comprise of a Lidl grocery store and around 100 student apartments, subject to planning permission. A spokesperson for Lidl told The Gazette: “Design is at a conceptual stage and will be subject to pre-planning meetings with Dublin City Council. “If final council approval is forthcoming, the intent is to construct a mixed-use retail/student residential scheme on the site, along with a standalone new concept Lidl store with ancillary parking. The spokesperson confirmed that the accommodation units will be available to students only and said that as yet there is no agreement in place with any particular college in Dublin. “It has yet to be decided if there will be an exclusive arrangement with any particular third level institution and this will be at the discretion of a third party operator who will manage the units following construction,” said the spokesperson. Cllr Noeleen Reilly (SF) welcomed the news that Lidl are to build additional resources for the residents of Ballymun. She said that if an agreement is put in place between DCU and the third party operator of the student accommodation it would mean that houses and apartments currently being rented by students in the nearby area can be freed up for families.